6831 S Blackwing Ct, Spokane, WA.| MLS# 201825060 | Cooper Realty Services (509) 599-1111 | Spokane WA Real Estate | Contact us to request more information about our Homes for Sale in the Spokane WA area. Entertainer&apos;s paradise w/ custom tech savvy upgrades. Daylight walk-out rancher w/ beautiful territorial views. 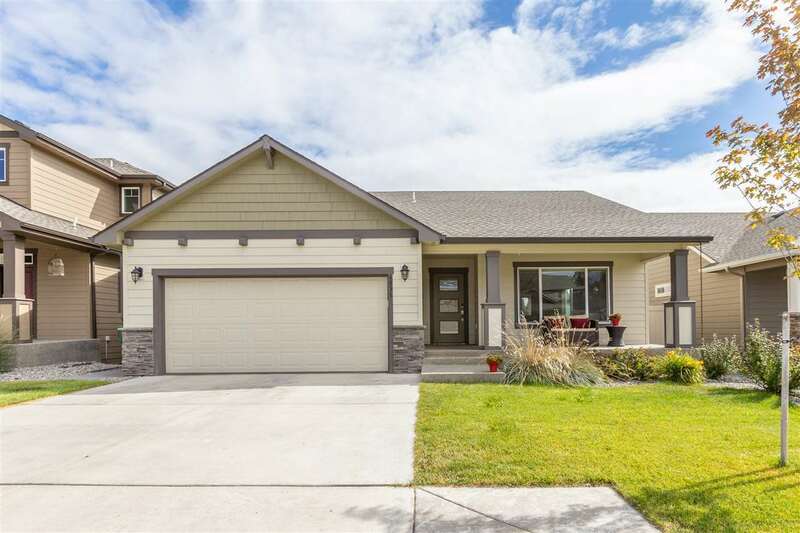 Spacious great rm concept w/gas fireplace, gorgeous quartz kitchen w/ SS appliances & access to covered deck. Stunning master suite w/ high end finishes. Custom: lighting, hard surfaces, electronic shades, media room, wet bar & fabulous landscaped back yard w/ fire pit hang-out area & covered patio. Meticulously maintained, a true gem! Paved trail system. Easy access: downtown, hospitals & more!